Noiseworks formed in Sydney in 1985. The original lineup of Noiseworks was Jon Stevens, Stuart Fraser, Steve Balbi, Justin Stanley and Kevin Nicol. Their self-titled debut in 1987 had a series of successful singles, such as 'No lies', 'Take me back' and 'Welcome to the world.' The album sold more than 200,000 copies in Australia. 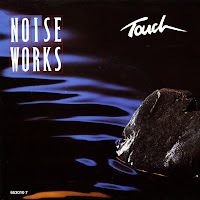 The band's second album, 1988's 'Touch', proved to be another big hit going Top 10 on debut. From this album, the title track was released as a single. It peaked at number 9 in Australia. The video was televised in Europe, and when I saw it, I decided to buy the single. However, I can't say I've played it often since then... The single was not a hit in Europe.